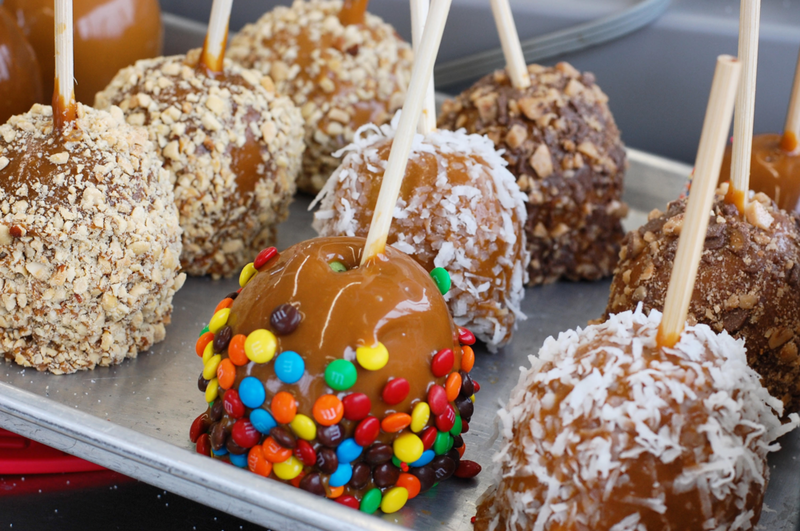 The San Diego County Fair, formally the Del Mar Fair, is home to some of the greatest fair foods, pairing unusual food together to create something one of a kind and only found at the fair! Make sure to come prepared to devour some serious bites! The fair is open June 2-July 4, 2017, closed on some Monday and Tuesday’s. Here are all the unique fair foods to check out this year! Stacked between two Krispy Kreme doughnuts, a fried piece of chicken sits with vanilla ice cream, topped with fruity pebbles. Also from the same food stand is the triple-cheeseburger Krispy Kreme burger. With three cheeseburgers stacked in between two doughnuts, this will kick any craving! Fried meatballs topped with peanut butter. If it can, it will be wrapped in bacon! No explanation needed for these bacon-lover treats! Is a trip to any fair really complete without corn-on-the-cob? With several variations of corn, from grilled, fried, salted, spicy, and classic, corn is a must! Ribbit…. Ribbit… Although I have still yet to try frog legs, this is a classic must-try dish at the fair, because where else are you going to try them without buying a plane ticket to the South? This year, the fair is taking curly fries to another level with nacho curly fries! Don’t worry, if you are a traditional person, the classic version is still available. Chips on a stick are a fair classic! There are countless options of toppings, but the crowd favorite is melted cheese! Foot long sausages, hot dogs, and corn dogs are all classics and can be found at the San Diego Fair!! When trying the corn dog, make sure to try the fried lemonade, this is a new one! Any imaginable BBQ can be found while walking the streets of the fair. Large smokers are everywhere cooking up tri-tip, ribs, and anything in-between! Nitrogen popcorn is a new addition to the fair. 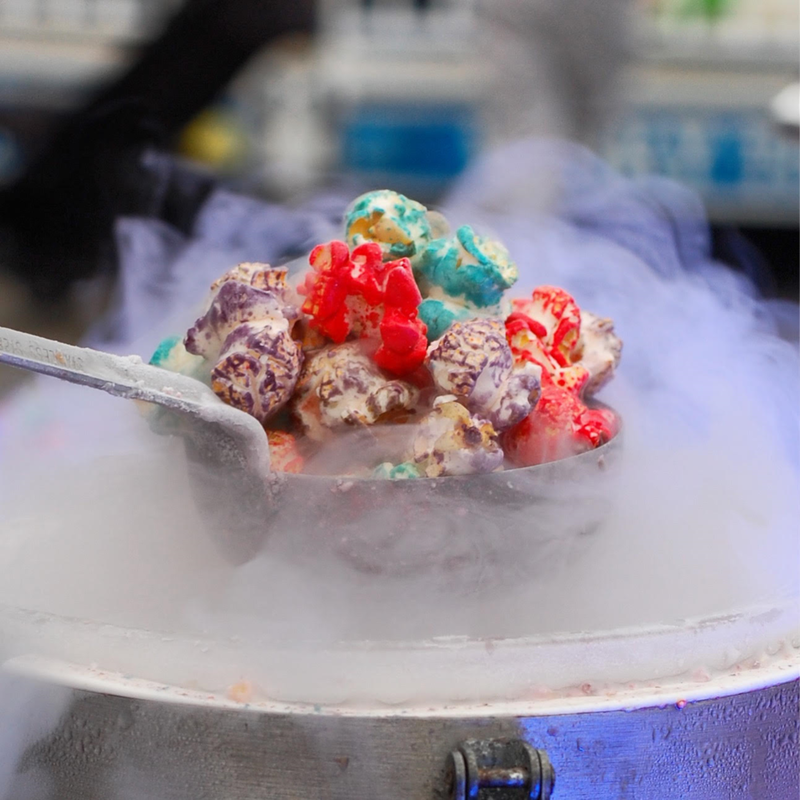 As nitrogen ice cream became popular, and is now in high-demand, these creatives decided to drop popcorn in nitrogen, and here are the results! Instead of classic kettle corn, try nitro-pop. Don’t get your hopes up, there is not any alcohol in this, but they are a tropical delight, because who wouldn’t want to walk around with a pineapple? But, there are several places to buy adult beverages throughout the fair, just in case you need a little something! Battered and fried Oreos, served covered in chocolate, sprinkles, and more sugar! Also at the fair are fried Twinkies and fried Snickers to satisfy any sweet tooth! 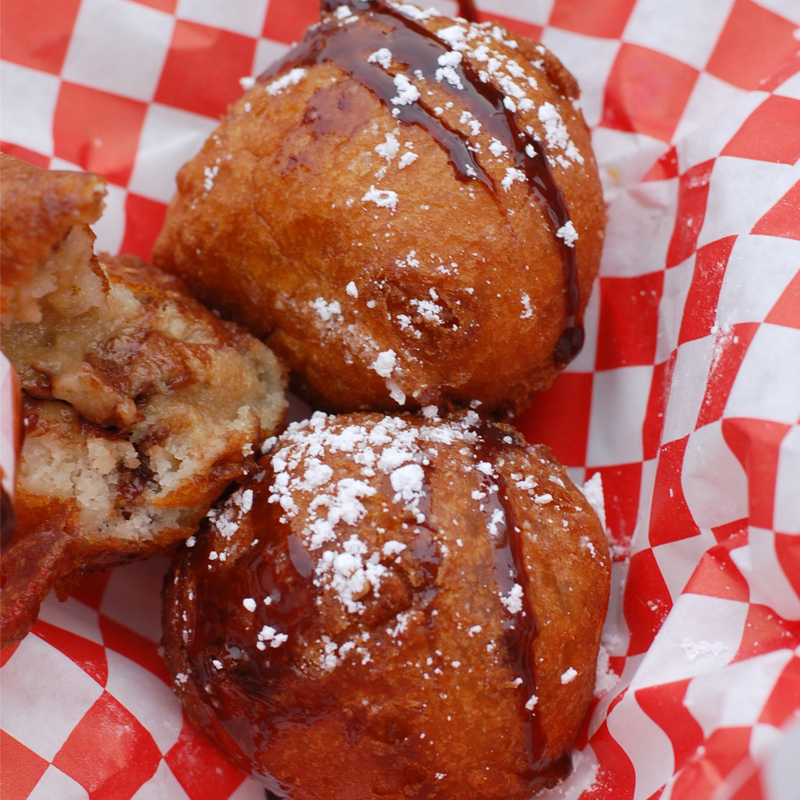 In case the Oreos were not enough for you, fried cookie dough is the new trend. Why not throw some cookie dough in a fryer, top it with chocolate, and have a bite? Only at the fair. The traditional ooey, gooey, soft cinnamon rolls have been upgraded. Now being served with a scoop of vanilla ice cream, whip cream, chocolate, and topped with walnuts, these beat the banana split sundae any day! 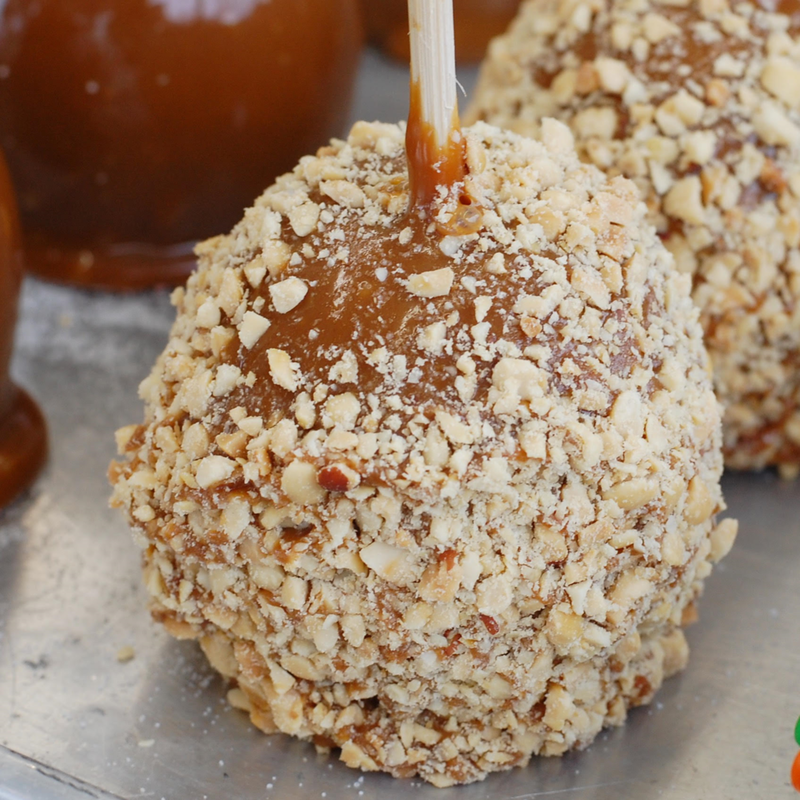 Fresh caramel apples can be found just about anywhere in the fair. The toppings include M&M’s, coconut, almond toffee, traditional, chocolate, and Snickers! A sliced open half of a pineapple serves as a bowl to this sweet and savory combo. Filled with grilled pineapple, chicken teriyaki, and topped with rice, this is the ‘fair food’ that I look forward to each year! The bowl can also be ordered with shrimp or just veggies!